According to the Labor department’s latest numbers that you will see in headlines everywhere today, joblessness in America remains at 10%. Technically, 15.3 million people are without a regular paycheck. 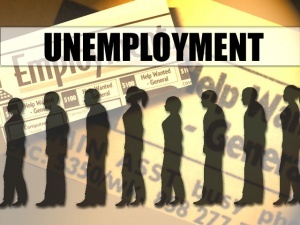 Here’s the real number: the nation’s unemployment rate is actually 17.3%, affecting over 26 million Americans. Here are some other real figures. The economy supposedly shed 85,000 jobs last month. But 661,000 people took themselves out of the work force entirely in December, both not working and giving up even trying to find a job. It all has to do with semantics and how the government classifies those who work and those who don’t. The official unemployment figures discount so-called “discouraged workers.” For December, the government discounted 10.7 million additional Americans this way. Every month now for the past 70 years, the Bureau of Labor Statistics has been conducting surveys of Americans to help determine what the jobless rate is. The current sample size is 60,000. This is a much larger base than most pollsters use (usually in the 2,000 range). The method of gathering the data is just fine. It’s the rules they use to classify people that regularly understate the real situation out there. To be counted as officially unemployed and not “discouraged,” you have to not have a job, have actively looked worked for work in the past 4 weeks, and are currently available for work. But if, say, you’d been actively looking for work for a year, and a single month passes in which you did not contact an employer or an employment agency or sent out a resume- you suddenly cease to be counted as unemployed. Maybe your partner or you mom got sick and you had to take care of them for six weeks meaning you’re not “currently available for work.” You used to work. You’re out of work. But you’re now in a kind of limbo, and you officially are not in the main unemployment statistics that every media outlet reports as the official jobless number. You be the judge here. Do any of these four criteria mean you are suddenly not without a job? You’re still not getting a paycheck. You’re still struggling to make ends meet. You’ve been out of work so long, you may well be heading for foreclosure or already out on the street. The government is literally discounting those who have been hurting the hardest and the longest. Next time you read about the latest unemployment rate, go to the very nearly last sentence in the story. The government keeps really good track of discouraged workers, even if it doesn’t include them in the official figure. You’ll often find the real story, right there, far removed from the headline and the lead paragraph. Don’t believe me? Read the Washington Post’s reporting on the jobless figures today. Go to the last sentence. Note: The initial Post story had it as the last sentence. They have since added five more paragraphs. You’ll now find the real jobless figures in the 13th of 17 paragraphs.